Henri de Toulouse-Lautrec finished Equestrienne in 1888, and sold it to the owner of the Moulin Rouge, Joseph Oller, the same year. Lautrec doesn’t give a damn about anything glamorous about the circus in this. Instead, we have this close-up of this weird, sexual trifecta of ringmaster, rider, and what has to be the most well-endowed horse in all of art history. Rumor has it Suzanne Valadon modeled as the rider, and I am SO EXCITED BY THAT. She also modeled for Renoir’s Dance at Bougival, my favorite work never on display at Boston’s MFA. Today, we celebrate Henri de Toulouse-Lautrec. 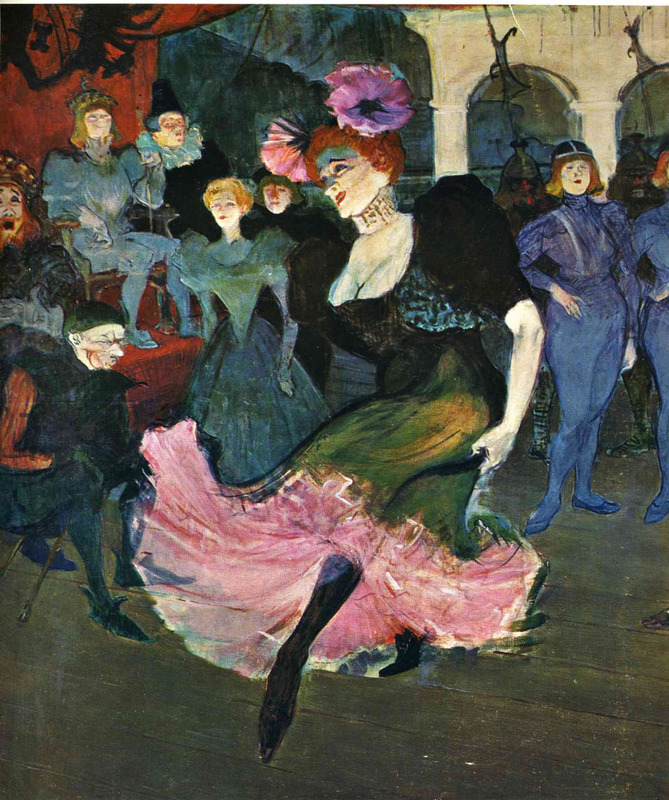 A man who stood at the lofty four-six, Lautrec spent many a-night at the Moulin Rouge and other Parisian nightclubs. Lautrec’s parents were first cousins (gross), and many of his health problems were attributed to inbreeding (double gross). He drank like a maniac; even his cane came well-equipped with liquor storage. He ended up dying in an insane asylum with syphilis. Well, the National Gallery helped itself to it, thanks to John Jay Whitney, in the 90s.